The NBA has had some uncommon hairstyles in his time — remember Scot Pollard, everyone? — but sometimes those new ‘dos end up coming perfectly standard basketball looks. For instance, when players first started sporting dreadlocks, fans were taken aback by something they were most familiar with via their well-played copies of Bob Marley’s “Legend.” Now it’s no big deal. But perhaps we have been ignoring a real problem. 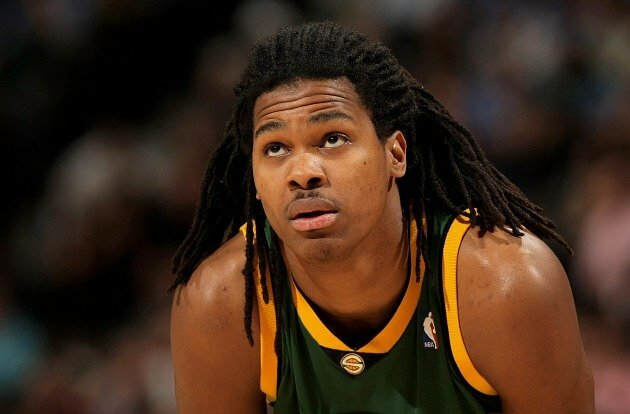 Minnesota Timberwolves forward Mickael Gelabale, now back in the NBA after four seasons in Europe, sported dreadlocks as a member of the Seattle SuperSonics from 2006 to 2008. Now his locks are shorn. I honestly don’t think dreads are a good look for basketball players. Plus, it doesn’t sound like it’s the hygienic thing to have on your head when your perspiring all over the place but that’s just me.